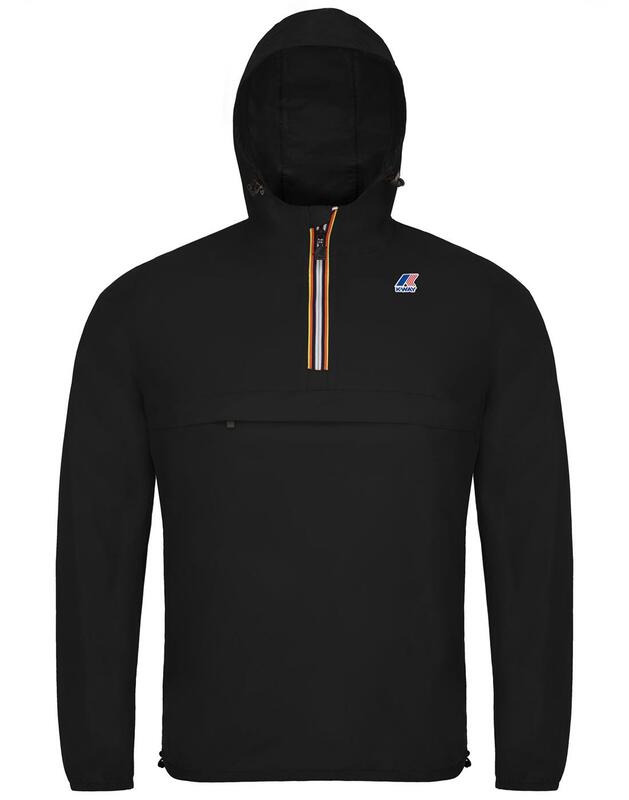 K-Way Leon half zip cagoule jacket in black, featuring large front kangaroo pocket. 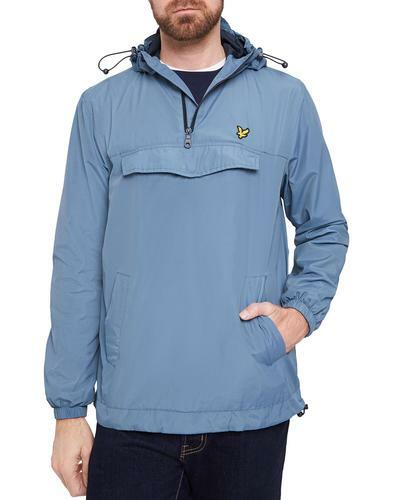 K-Way is the original cagoule mac brand, established in France in 1965. This retro classic is pure old skool in a classic black colour way. A water resistant, breathable, windbreaker in a loose fit and with that all essential pac-a-way pocket. 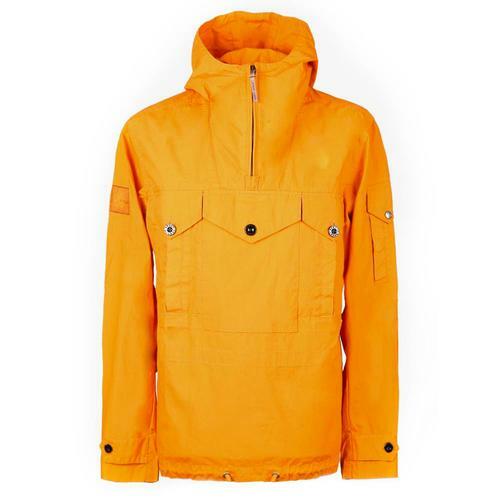 Modern updates to this retro original include improved lightweight nylon ripstop and water resistant fabric, heat sealed taped seam and an elastic drawcord to hood and hem. Packs in to the front kangaroo pocket for carrying ease, if it ever stops raining! 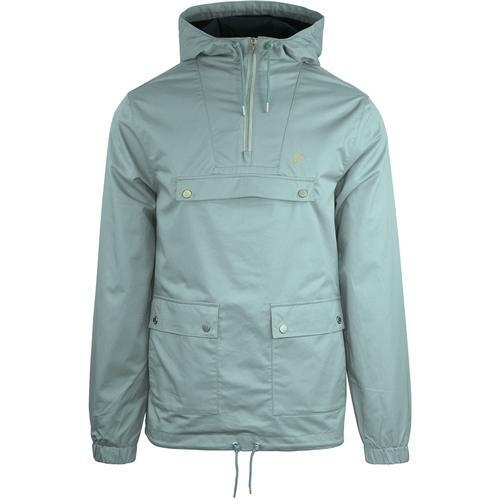 A classic retro original from K-Way Cagoules. 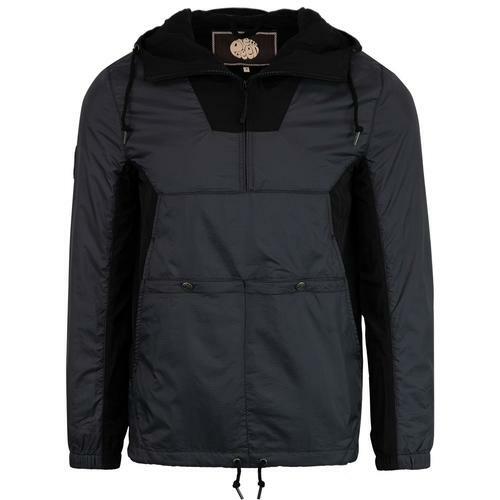 -K-WAY Men's Leon Retro Half Zip Hooded Cagoule in Black. -This original pac-a-mac is unisex & water resistant. -Elastic drawcords on the bottom and on the hood. Care: Please refer to garment care label for full care instructions.